A gentle Yoga practice designed for people with Multiple Sclerosis, also suitable for those living with most any disability, injury, illness, or confined to bed. If you’re a beginner, senior or looking for a gentler Yoga practice I’m sure this video will work for you. The video works as a good starting point on the path to a better quality of life. It will help by improving balance, flexibility, increase strength and reduce fatigue. 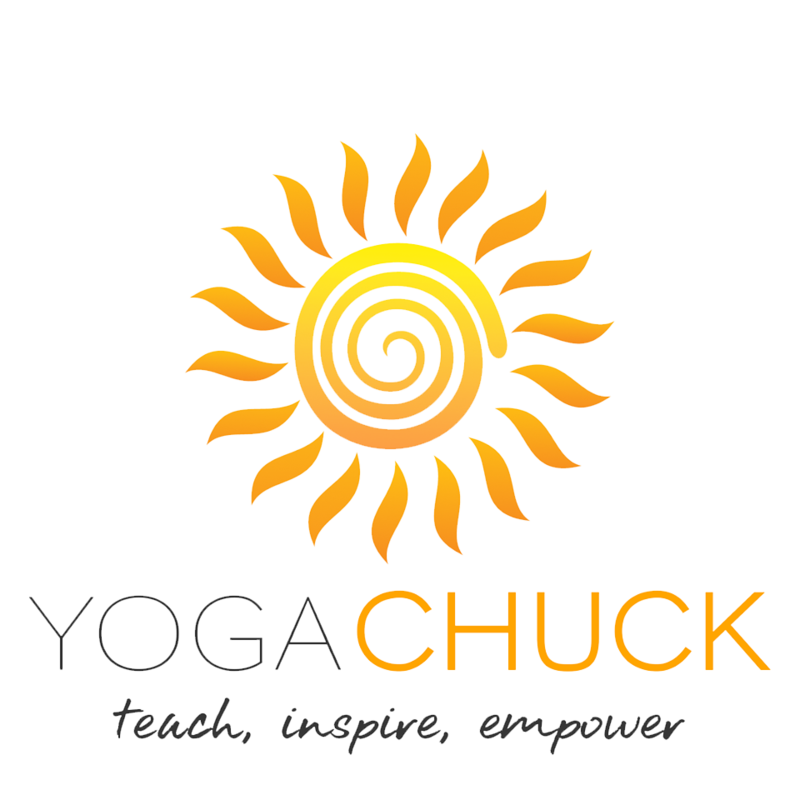 Chapters are: Chair Yoga, Floor Yoga, Standing/Floor Combination Yoga which includes (Picture-in-Picture), 5 Minute Yoga, Caregiver Yoga, Fatigue/Breath/Posture chapter and a chapter interviewing a Physical Therapist. 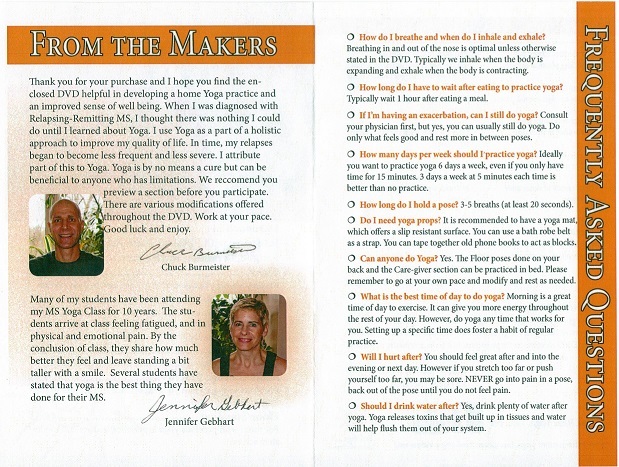 A 2 hour 25 minute Gentle Yoga DVD including 8 chapters. Information on proper Breathing and Posture. 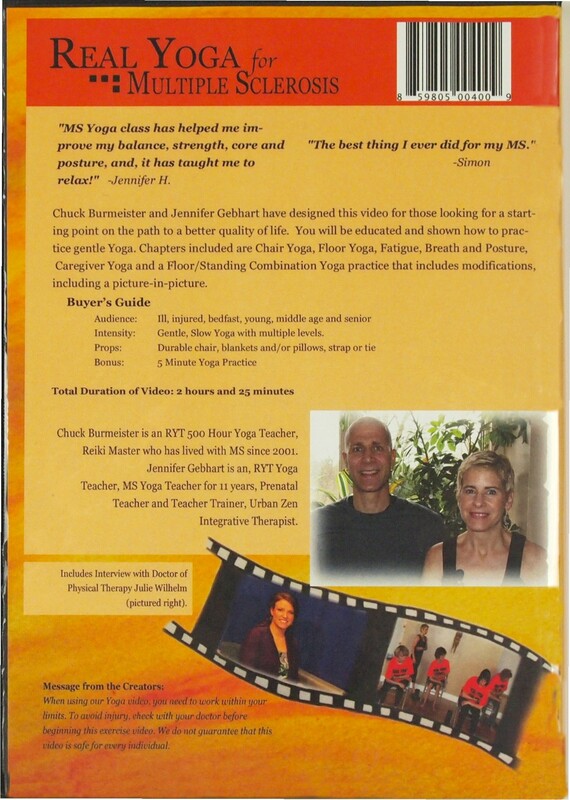 Besides the yoga practices, this video offers a great deal of educational information, including an interview with a Physical Therapist who discusses the every day struggles of people living with MS.
Five minute Gentle Yoga Practice for those with limited time.